Parade route map found here. 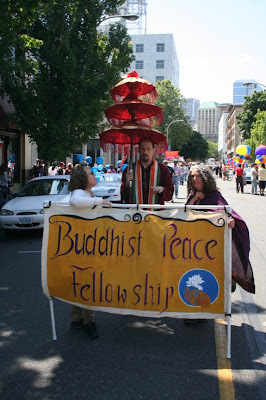 The Portland Chapter of the Buddhist Peace Fellowship will be marching in Portland's Gay Pride Parade this year. Many faith congregations join the parade, proudly displaying their welcome of all GBLTQs in their places of worship. In 2007, the only Buddhist congregation represented was SGI-USA. 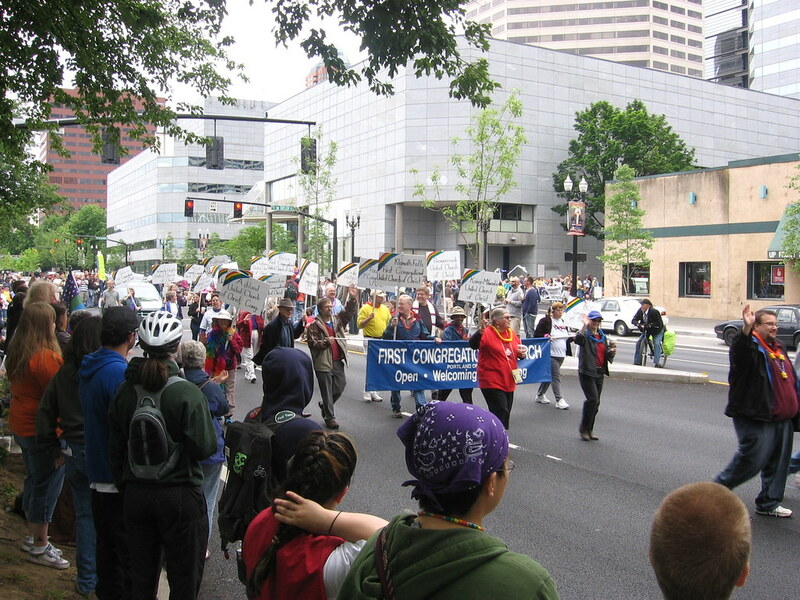 BPF Portland would like to increase that number, so we are joining the parade. 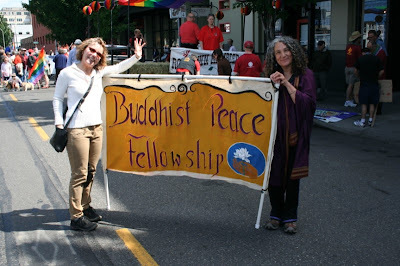 We invite any Buddhist communities to join us behind our banner, and any Buddhist or Buddhist-friendly individuals may join us as well. Any who join us, please be aware of the parade rules. Make buttons, bookmarks and other simple art or craft items for BPF to sell at the Buddhist Festival in the Park. Proceeds from these particular items will be given to aid organizations for Burmese cyclone victims. 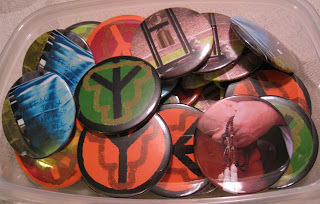 BPF will provide the materials to make buttons and small mirrors, but if you have an image you're fond of that is 2 1/4 inches in diameter (with 1/4 inch border) we can cut it and use it to make buttons. Lightweight paper only.